I will admit that this album took me by pleasant surprise. Metalcore, the most hated metal subgenre today, with it's kiddish clean vocals and youthful immaturity, is usually a guaranteed miserable listen for me, but Awakened manages to overcome many odds with powerful vocals (screamed ones, at least) and relatively strong guitar work. The same metalcore problems are here, weak clean vocals, relatively inflexible songwriting, but as I mentioned before, this is a shortcoming of the genre rather than the artiste, since the only band adding some colour to metalcore, and not necessarily successfully, is Between The Buried And Me. But for the most part, the strengths are also self evident in the ultra-crisp production, heavy, nuanced and sterile without diluting the dirt. Perhaps this is what gave me the kick when I listened, and to top off that, the accessibility of the band is up there with Linkin Park and radio-friendly rock bands. This isn't a mindblowing release, there is nothing new. 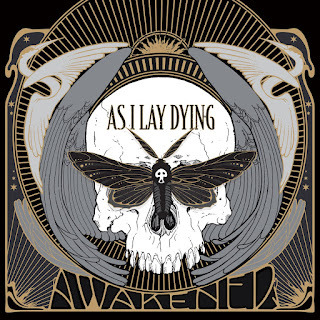 But for fans of the genre or the band, the album is about as consistent as anything AILD have put out in their last decade.